Create Your Own Lego Robotics! 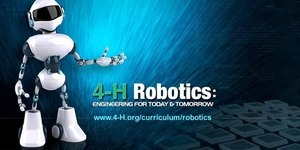 Are you interested in Lego Robotics?Are you 10-12 years old? Join us in this hands-on enrichment program where you will learn the basics of programming through LEGO Mindstorms! Lego Mindstorms is a programmable robotics construction set that gives you the power to build, program and command your own Lego robots. This program is open to Putnam County Youth ages 10-12 years old, limited to 12 youth.